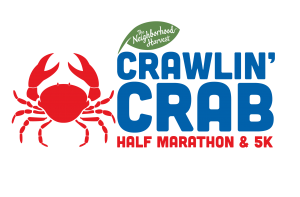 The Neighborhood Harvest Crawlin’ Crab Half Marathon and 5K presented by Bon Secours Mary Immaculate Orthopedics is a fun, healthy activity for the entire family. This event in Hampton, Virginia, attracts families from up and down the East Coast and has been listed as a ‘Must Do’ half marathon by Runner’s World. If you would like more information on sponsoring this event, please email ryanc@jandaracing.com.